The last time Lucky Red Casino ran a promotion of a similar magnitude was three weeks ago, during the St. Patrick’s Day. Now that Easter is coming, those who have an account with the aforementioned casino can enjoy similar benefits as their peers who took advantage of those bonus codes. There are a couple of cash offers and plenty of free spins to take advantage of, while playing the latest slot games released. This April, Small Fortune video slot is very likely to become the hottest game of the month and this provides players with a win-win opportunity. On one hand, they get to experience the thrills of an innovative title, on the other they become eligible for a total of 145 free spins for a total deposit of at least $80 by redeeming the EOAS100GREEN code. Those who are unwilling to invest as much and would only settle for $30, should check out the EOAS45GREEN bonus code which will trigger 45 free spins. 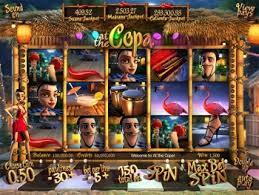 The free spins are awarded immediately without any additional actions being needed, but there are some wagering requirements. Before the profits made as a result of using the free spins can be withdrawn, members will have to play through these profits 25 times. On the bright side, you are not limited to the Small Fortune video slot and instead can play slots, scratch cards or keno. At the end of the day, the odds of getting bored are insignificant and meeting the requirements is a breeze, rather than a chore. The Small Fortune video’s popularity grew during the St. Patrick’s Day holiday and Lucky Red Casino members are still very fond of it. This is why the promotion has been extended many weeks after the celebration came to an end. Next week, we are probably going to discover brand-new promotion, but meanwhile it would be a shame to let those 145 free spins go to waste.